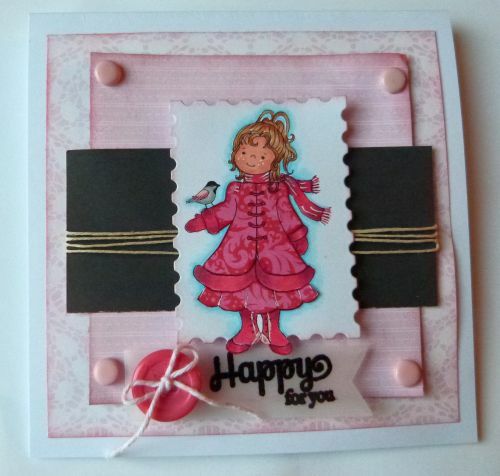 Fab card, lovely image and pretty papers. Thank you for playing along with the Crafty Boots Bingo Challenge. Love the paper piecing. So clever and a beautiful card. Thanks for joining in at Crafty Boots Challenges this time. So very sweet Zehra! Great job coloring the sweet image!